Iceland’s black metal scene is one of the world’s most singular, with bands like Misþyrming and Zhrine combining some of the dissonance of French bands with the Earthy atmospheres of the Cascadian scene while oddballs Sólstafir fall in with psychedelia and krautrock. Some of the most well-received black metal of the early decade came roaring out of Reykjavík, and with an impressive roster of active bands there’s sure to be more to come. Much like New Zealand, the island nation has gained most of its notoriety in the metal world in the last ten years, but unlike New Zealand, very little of that notoriety has gone to death metal. Kaleikr have a thing or two to say about that. Heart of Lead builds an ambitious post-metal album from death metal parts, dampening its cinereal atmosphere with tones of cold, decaying soil. Maximilian Klimko’s earthy growls, shrill leads, and storming, droning riffs support the mass of Kaleikr’s compositions while Kjartan Harðarson’s intuitive drumming sets them in motion. The two have chemistry like a refinery and are just as liable to combust, which Heart of Lead provides ample opportunity for. “Internal Contradiction” sees the duo at their most intense, rapidly turning between stop-on-a-dime rhythm riffs, doomy arpeggios, and tumultuous tremolo, even making space for Árni Bergur Zoëga to provide guest viola leads. Within the motion, Heart of Lead never seems to stall or flounder, and listening through from start to finish can be both engaging and rewarding. Past the finish, the album doesn’t fare so well. Even with its unique sound and dynamic compositions, Heart of Lead can’t manage to stick around. It rarely develops its riffs or melodies past rudimentary ideas, instead weaving together simple arpeggios and riffs to make a thick sound that somehow lacks real heft. Even when Kaleikr pull out all the stops, big set-pieces and memorable moments elude them, and the album perpetually looks towards peaks from the shadows of passes. Harðarson pulls out some impressive fills and in general provides deft drumwork, but it’s not enough to counteract the drab riffing and melodies that Klimko provides. 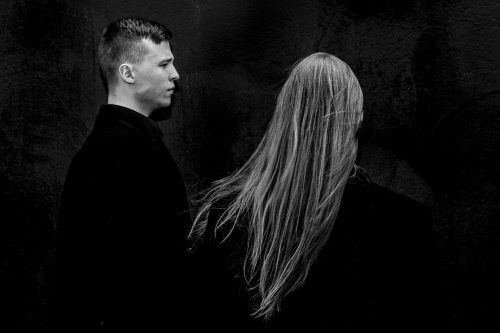 A lot of post-metal bands have this problem, and though Kaleikr do their best to dress up their music in death metal trappings, a general lack of riffs sends Heart of Lead descending the brutality scale with an alacrity befitting its density. And speaking of density, how’s about that production? 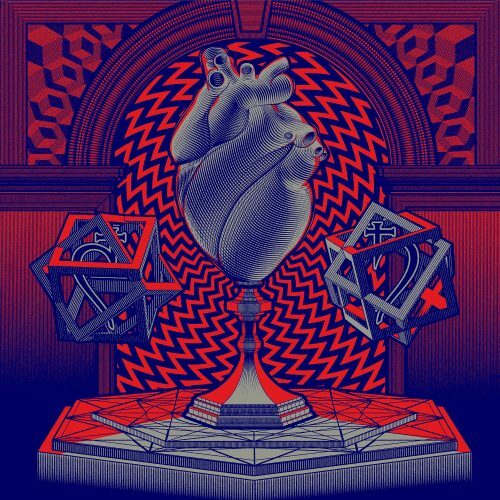 Heart of Lead sounds like a powerful post-metal album, parading its drumming before a guitar tone with a hearty mid-range and brittle high-end. The mix retains most of the detail Kaleikr can wedge in, but it occasionally loses the viola and sounds flat when songs jump in intensity, as often happens. One feels the absence of dynamic range acutely with songs like “Internal Contradiction” which features several sparse patches that can’t delaminate from the rest of the song only because of their volume. A post-metal album really needs to have dynamics to fall back on, and the impact caused by their absence knocks the wind out of Heart of Lead. Labeling a debut album “promising” might smack of damnation by faint praise, but at least the sentence hardly ever lasts an eternity. Kaleikr’s vision of post-metal certainly warrants exploration, but in doing that, the duo will have to find more significant landmarks than those populating Heart of Lead. It’s rarely helpful to tell a band to just have better ideas, but once barriers of execution have been cleared, ideas constitute the whole of our judgement of art. Heart of Lead demonstrates beyond a doubt that Kaleikr can do it—the question now is, what to do?